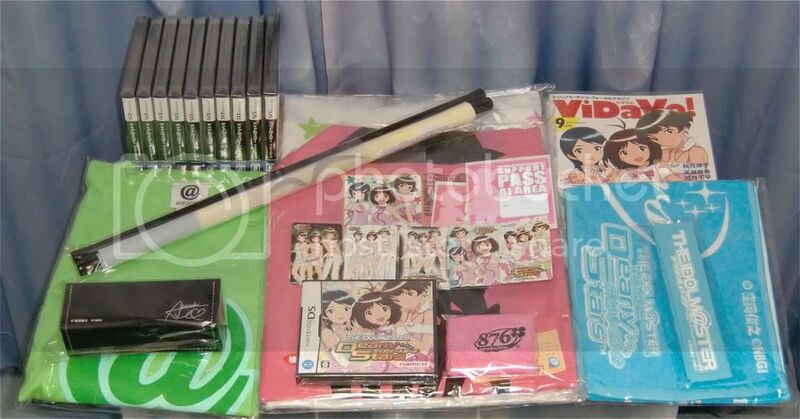 do want that ryo tapestry for some reason. so, if any, which bonus would come from preordering the game on Play-Asia? What BT said. Play-Asia usually only packages the official bonuses from the publisher/developer for preorder. From the official page, the best guess is the magazine and the trading card. Not so sure with other items though..
>Fear not, for you are not alone. Established idols such as Amane Haruka will show up to guide you along. Listen to their advice and see how your meeting with them will change your path. neat, 'cos that's pretty much all I want. It's just a site description typo, get over it. List updated. Added Lawson's Deluxe Limited Edition. 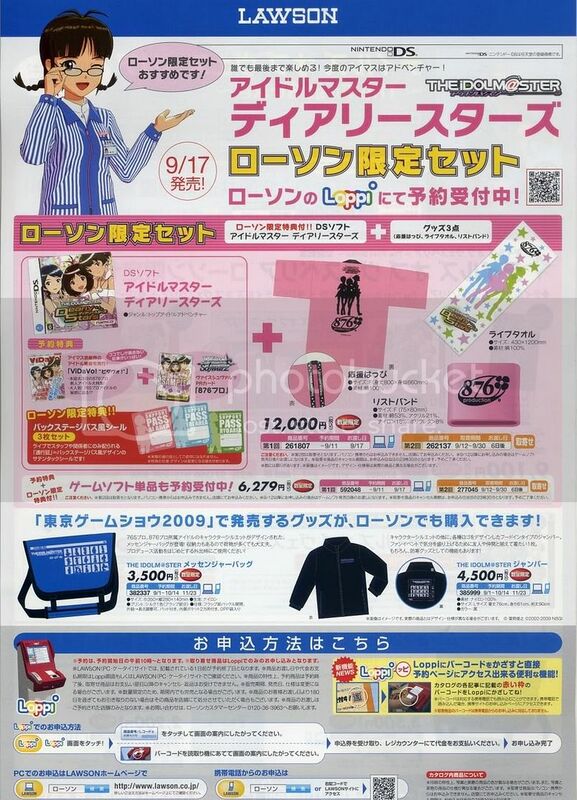 O.o The Lawson set looks really cute!!! I wish i could get it for a cheaper price. Lawson DS set + TGS2009 iM@S Products ad. Now thats some pretty good stuff!